MyFreeola Control Panel - Setup a free account today! Securely manage products and services from Freeola.com and GetDotted.com in one place! 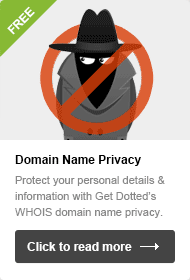 Choose GetDotted for your domains and you can control all your domain settings including web forwarding, hosting setup, your websites and email, renewals and registrations, DNS settings and transfers and more, all from one place, MyFreeola. Our easy-to-use control panel comes with many free features and you can even take advantage of Domain Renewal Discounts and save up to 20% on each domain name renewal! 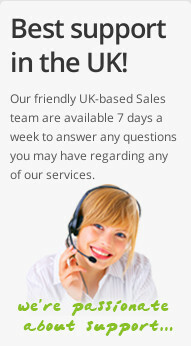 Setup free, unlimited hosting, websites and email addresses, plus other superb services. The MyFreeola web hosting control panel is a simple & powerful domain management solution where you can control every single internet setting you need, from email to internet connections to antivirus. Log into MyFreeola to manage domains. All your domain name settings, including new registrations, hosting, DNS settings, renewals & transfers. Manage website addresses, emails and much more. Create, view and edit your websites with out domain hosting manager. Control web hosting options, setup free website promotion and much more. 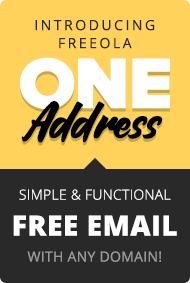 Setup and manage email addresses with options like autoresponders, webmail forwarding, email anti-spam, antivirus and much more. With MyFreeola Control Panel, Freeola Broadband users can monitor their data usage & much more. Available in multiple sizes to download, you can take your pick from hundreds of free, professional, high resolution stock images to use however you want. MyFreeola gives you access to all your internet services in one place from broadband to antivirus, plus great offers, competitions and loads more. Get started with our Hassle-Free domain manager by clicking 'Register Domain Names'. If you already have domains with us you can log in to MyFreeola now! Transfer domains for free to GetDotted.com and we'll give you 40% off your next renewal, and full use of the free MyFreeola control panel. Registering and transferring domains couldn't be easier with Freeola & GetDotted!